Amazon's newest business is trying to prevent neighborhood crime. 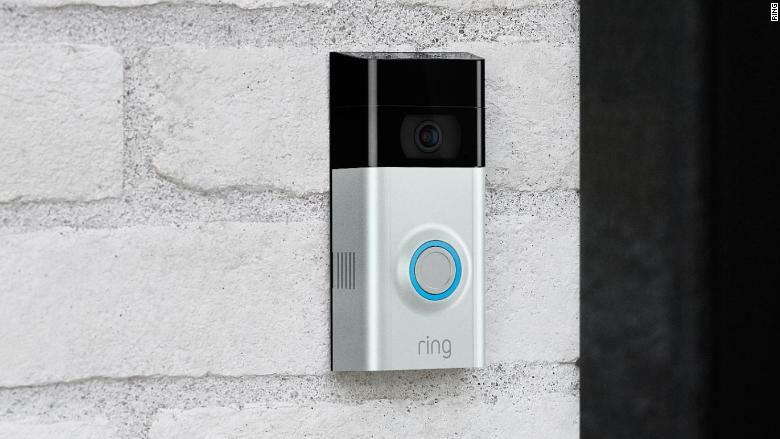 Ring, the Amazon (AMZN)-owned doorbell-with-a-camera company, is launching a social network called Neighbors for sharing photos and videos of package thieves, burglars and other suspicious activity. The free standalone iOS and Android app is a spinoff from the existing Ring app, which has a similar section called Neighbors. The new app lets anyone -- not just people with Ring devices -- share and view text and photo or video posts. "People are in their neighborhood less than they were 50 years ago," says Ring founder Jamie Siminoff. "The Neighbors app brings presence back into the neighborhood." Users must confirm their addresses and can only join networks for the neighborhoods in which they live. The platform is not intended to serve as an emergency response system -- anyone who is a victim of or witness to a crime should contact 911 or their local police department first, according to Fort Lauderdale Police Chief Rick Maglione. 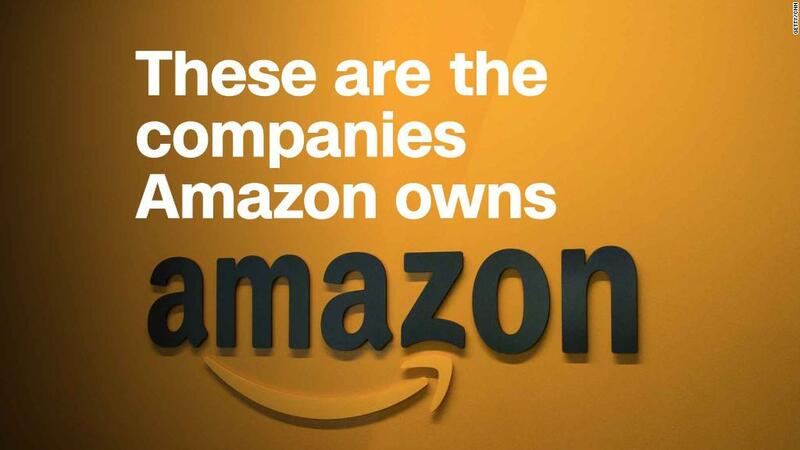 Amazon bought Ring earlier this year for about $1 billion. The company makes connected security devices, but its signature product is a doorbell with a Wi-Fi connected camera instead of a peephole. You can watch video of your street or stoop live from a smartphone and talk back over a speaker. The device is part of an explosion of low-cost home security cameras over the past ten years, which has created a wealth of potential evidence for local police departments. Law enforcement agencies will be able to join Neighbors to send out crime and safety alerts and view shared videos. Fort Lauderdale, Florida is one of the network's first partners. Maglione says Neighbors could help officers solve burglaries faster, because the department can use the app instead of going door-to-door. "It's an increase in the eyes and ears, and I think it's welcome," says Maglione. "Everybody nationwide is pushing the 'if you see something, say something' way of thinking." Neighbors is not the first app for sharing reports of local crimes. 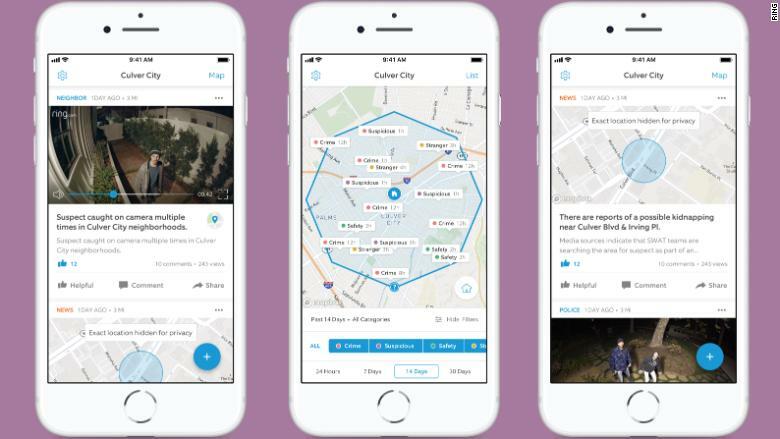 Citizen is an app for tracking local crime, but focuses on events happening in real time. Users can get a notification of a call to 911 immediately after it happens. Some people rush to the scene to live stream the commotion or, occasionally, get involved themselves. Meanwhile, Nextdoor launched seven years ago as a neighborhood-watch social network with a much broader scope. People post about everything from lost dogs to furniture for sale. But Nextdoor has been criticized for allowing racial profiling to exist on its site. Users can report people they see in their neighborhood as "suspicious" based only on their race. The company has tried to address the issue with features, including a form that requires non-racial descriptors for posts to the "crime and safety" category, and automatic detection of racially charged language. Siminoff doesn't think Ring will run into similar issues in part because the posts are based on actual footage or photos. The company has moderators on staff to review any flagged posts. "Video makes what's happening much clearer, so you don't have to describe the scene. Describing the scene ... can create those biases," said Siminoff.